For centuries Montreal reigned as Canada’s most beguiling city. Inspired by the pages of the Gazette, Canada’s oldest daily newspaper (founded in 1778), here are seventy-five true tales to inspire, amuse, horrify and captivate. Stories include humourist Stephen Leacock’s flinty bitterness at being forced into academic retirement; a boat race through downtown Montreal in the dead of winter; a duel sparked by a society ball; and city-wide celebrations marking the end of World War II. In No Place More Suitable, author John Kalbfleisch brings into colourful focus the full range of human endeavor, genius, hilarity, poignancy and sadness from over 350 years of life on the banks of the St. Lawrence. 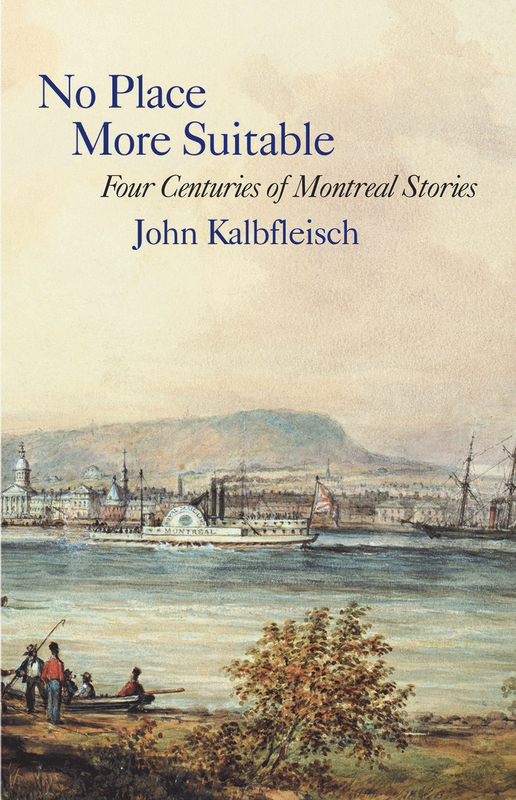 John Kalbfleisch is a long-time Montreal journalist and the author of several books, including This Island in Time: Remarkable Tales from Montreal’s Past (2008) and A Stain Upon the Land: Love and Death in Old Montreal (2017), a novel. Second Draft, his popular column on the city’s history, ran in the Montreal Gazette for seventeen years. He lives near Perth, Ontario. 192 pp 8.5" x 5.5"